This article is about the body which oversees elections in India. For similar title in other jurisdictions, see Election Commission. The Election Commission of India is an autonomous constitutional authority responsible for administering election processes in India.The body administers elections to the Lok Sabha, Rajya Sabha, state legislatures, and the offices of the President and Vice President in the country. The Election Commission operates under the authority of Constitution, and subsequently enacted Representation of the People Act. The Commission has the powers under the Constitution, to act in an appropriate manner when the enacted laws make insufficient provisions to deal with a given situation in the conduct of an election. Originally in 1950, the commission had only a Chief Election Commissioner. Two additional Commissioners were appointed to the commission for the first time on October 16, 1989 but they had a very short tenure, ending on January 1, 1990. The Election Commissioner Amendment Act, 1993 made the Commission a multi-member body. The concept of a 3-member Commission has been in operation since then, with the decisions being made by a majority vote. The Chief Election Commissioner and the two Election Commissioners who are usually IAS or IRS officers draw salaries and allowances at par with those of the Judges of the Supreme Court of India as per the Chief Election Commissioner and other Election Commissioners (Conditions of Service) Rules, 1992. The Chief Election Commissioner of India can be removed from his office by the Parliament with a two-thirds majority in both the Lok Sabha and the Rajya Sabha on the grounds of proven misbehavior or incapacity. Other Election Commissioners can be removed by the President of India on the recommendation of the Chief Election Commissioner. A Chief Election Commissioner has never been impeached in India. In 2009, just before the 2009 Lok Sabha Elections, CEC N. Gopalaswami sent a recommendation to President Patil to remove Election Commissioner Navin Chawla, who was soon to take office as the Chief Election Commissioner and to subsequently supervise the Lok Sabha Election, citing his partisan behavior in favor of one political party. The President opined that such a recommendation is not binding on the President, and hence rejected it. Subsequently, after Gopalaswami's retirement the next month, Chawla became the Chief Election Commissioner and supervised the 2009 Lok Sabha Elections. One of the most important features of the democratic polity is elections at regular intervals. Holding periodic free and fair elections are essentials of a democratic system and a part of the basic structure of the Constitution.The Election Commission is regarded as the guardian of elections in the country. In every election, it issues a Model code of Conduct for political parties and candidates to conduct elections in a free and fair manner. The Commission issued the code for the first time in 1971 for the 5th Lok Sabha elections and revised it from time to time. It lays down guidelines for the conduct of political parties and candidates during an election period. However, there have been instances of violation of the code by various political parties with complaints being received for misuse of official machinery by the candidates.The code does not have any specific statutory basis but only a persuasive effect. It contains the rules of electoral morality.However, this lack of statutory backing does not prevent the Commission from enforcing it. A law regarding the registration process for political parties was enacted in 1989 and a number of parties got registered with the Commission. The registration helps avoid confusion ensures that the political parties are brought under the purview of the commission. To curb the growing influence of money during elections, the Election Commission has made many suggestions and changes in this regard. The Commission has appointed IRS officers of the Income Tax Department as Election Observers of all elections and has fixed the legal limits on the amount of money which a candidate can spend during election campaigns. These limits have been revised over time. The Election Commission, by appointing observers from the Indian Revenue Service, keeps an eye on the individual account of election expenditure. The commission takes details of the candidate's assets on affidavit at the time of submitting nomination paper, who are also required to give details of their expenditure within 30 days of the declaration of results. The campaign period has also been reduced by the Commission from 21 to 14 days for Lok Sabha and Assembly elections to cut down election expenditure. The Commission can issue an order for prohibition of publication and disseminating of results of opinion polls or exit polls to prevent influencing the voting trends in the electorate. The power of superintendence, direction, and control of all elections to the local government bodies vest with the State Election Commissions as envisaged in Article 243K of the Constitution of India. The Constitutional (73rd Amendment) Act, passed in 1992 by the Narasimha Rao government, came into force on April 24, 1993. It was meant to provide constitutional sanction to establish "democracy at the grassroots level as it is at the state level or national level" The State Election Commissioner(SEC) has several unique powers pertaining to the elections to Local Bodies.The SEC chairs the Delimitation Commission which delimits local government constituencies and has full powers to conduct local government elections, including disciplinary powers over staff who are on election duty. The SEC assigns reserved posts and constituencies and can disqualify candidates who do not submit election accounts, those found guilty of defection and elected representative who do not convene the Grama Sabha. The Election Commission had tried to bring improvements in election procedures by the introduction of Electronic voting machines or EVMs. It was thought that these would reduce malpractices and improve efficiency. It was first tried out on an experimental basis in the state of Kerala for the 1982 Legislative Assembly Elections. After a successful testing and the legal inquires, the Commission took the decision to begin the use of these voting machines. The Election Commission launched a web site of its own on February 28, 1998 in order to provide accurate information, management, administration and instant results of the elections. In an effort to prevent electoral fraud, in 1993, EPICs or Electors Photo Identity Cards were issued, which became mandatory by the 2004 elections. However ration cards have been allowed for election purposes in certain situations. In 1998, the Commission decided on a program for the 'computerization' of the electoral rolls. The introduction of Voter-verified paper audit trail (VVPAT) in eight Lok Sabha constituencies in 2014 Indian General Elections was a big achievement for the Election Commission. This Voter-verified paper audit trail (VVPAT) system was first used with EVMs in a by-poll in September 2013 in Noksen (Assembly Constituency) in Nagaland. and eventually in all elections from September 2013 onwards in various Legislative elections in the country. In 2014, None of the above or NOTA was also added as an option on the voting machines which is now a mandatory option to be provided in any election. 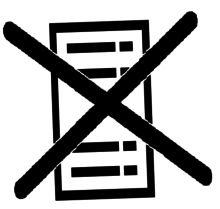 The specific symbol for NOTA, a ballot paper with a black cross across it, was introduced on September 18, 2015. The symbol has been designed by National Institute of Design, Ahmedabad. With the Bihar Legislative Assembly election, 2015 , the state became the first to have photo electoral rolls, with photographs of the candidates on the EVMs. The Election Commission of India came under severe criticism when an RTI application filed by activist Dr Satendra Singh revealed the commission's ill-preparedness to safeguard electors with disabilities in the 2014 Lok Sabha elections. There were many violations of the Supreme Court order from 2014 to enfranchise persons with disabilities. ↑ "A Constitutional Body". Election Commission of India. 1 2 "A Constitutional Body". Election Commission of India. ↑ "Ration card for voting". 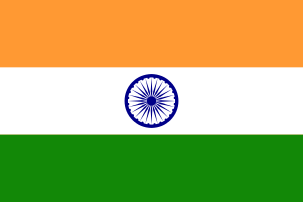 ↑ "India devises flawless ballot mechanism". ↑ "VVPAT used or the first time in Noksen bypolls". ↑ "Now, 'NOTA' has an electoral symbol too". dna. 18 September 2015. Retrieved 18 September 2015. ↑ Jain, Bharti (18 September 2015). "'None of the Above' option on EVMS to carry its own symbol from Bihar polls". The Times of India. Retrieved 18 September 2015. ↑ "Contesting the Bihar Polls? Dummy Candidates Beware". ↑ "Now, photos of candidates on EVMs to weed out 'dummies'". ↑ "Polls near, but no data of voters with disabilities". Times of India. 27 January 2014. ↑ "विकलांगों के लिए गंभीर नहीं चुनाव आयोग". Punjab Kesari. 26 January 2014. ECI's Online Voters List Options: 'Voter Name' search Parliamentary, Assembly constituency wise. Also one can get full Electoral Rolls 'Voting Booth' wise.